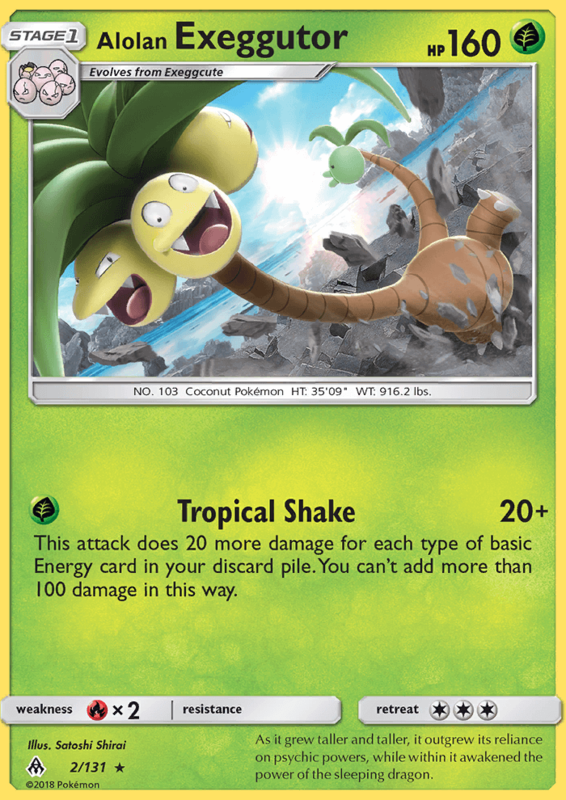 Quick note – I think the promo version of this Exeggutor, illustrated by kawayoo and released alongside Lost Thunder in blister packs, is missing from the site; seems to be the only English kawayoo card I can’t find here! Otherwise, sweet database! Thanks for bringing that up, and thanks for the kind words!